It’s back-to-school season already! Although my kids still have a few weeks left of summer, I know school will be back in session before I know it, and that means a huge adjustment in our schedule. This post is sponsored by Harris Teeter, but all thoughts and opinions are my own. As much as I love the lazy days of summer (Who are we kidding? Summer is a ton of work for us parents!) I admit that I do look forward to the start of a new school year. By the end of the summer, I can tell that the kids are craving routine, even if they THINK what they want is late mornings sleeping in. We love school, but the adjustment can be tough. 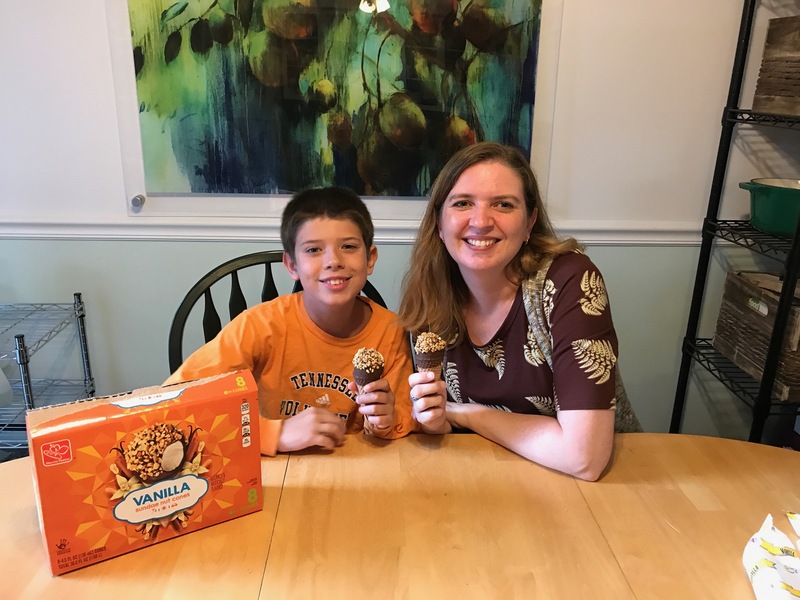 I’ve pulled together a handful of helpful tips to make the back-to-school transition smooth and enjoyable, with a little help (and a shopping trip or two) from Harris Teeter. Plan meals ahead of time – Nothing puts a wrench in the evening like not knowing what we’re going to eat for dinner. It only takes 5 or 10 minutes at the beginning of each week to jot down a quick list of meals that we’re going to eat throughout the week, and then make a shopping list for the necessary items. But it saves a ton of time (and most importantly, headache!) 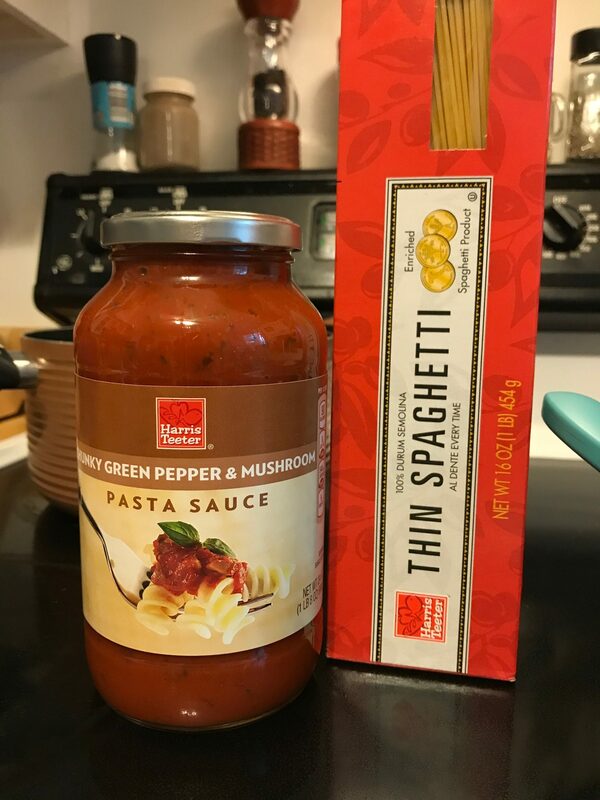 in the long run because we don’t have to think about the classic (and never-ending) question, “What’s for dinner?” I love taking my shopping list to my local Harris Teeter, where I can get private label products for a low price everyday. 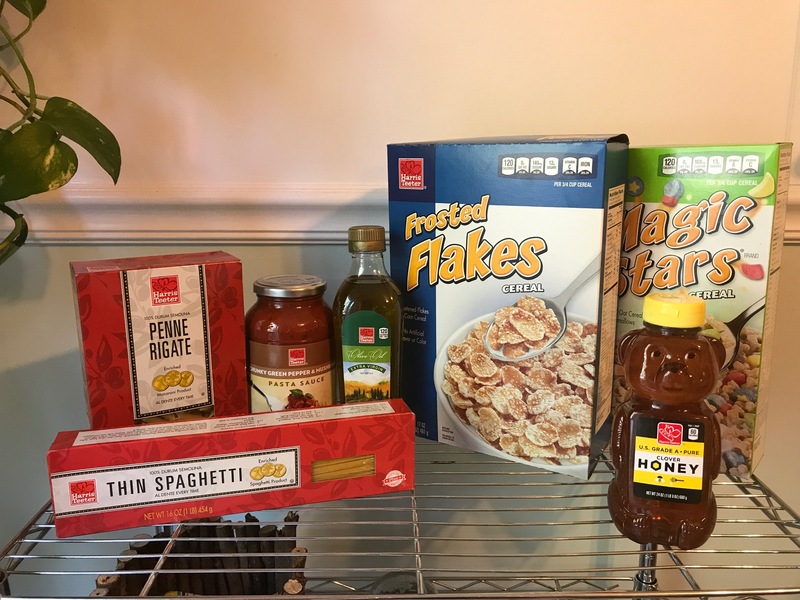 Harris Teeter has recently lowered everyday prices on a ton of their private label products, many of which are pantry staples. 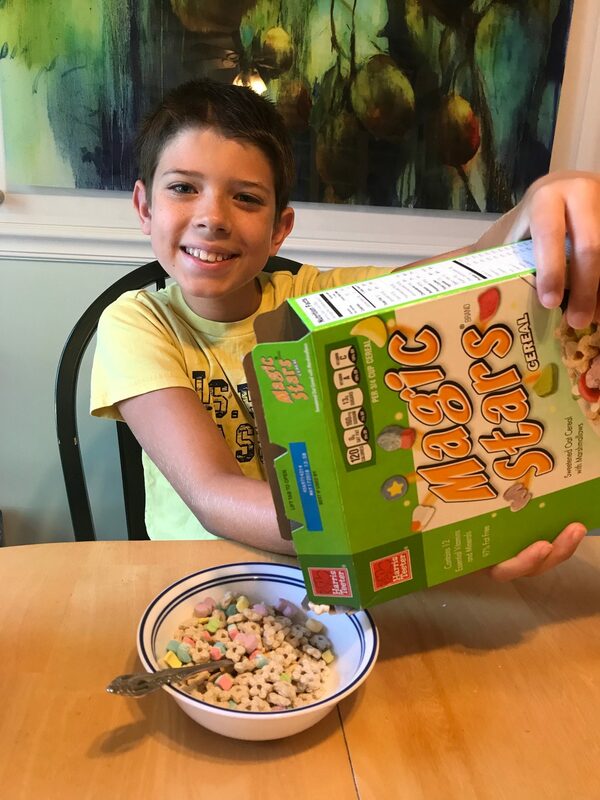 Make breakfast quick and easy – Whether your kids are old enough to serve themselves breakfast in the morning or not, having a few quick and easy breakfast options is one of the ways that we make our mornings go much more smoothly. I love a hot, cooked breakfast as much as the next person, but I don’t often have the time to cook one every morning. And that’s ok! Having quick and easy-to-prepare breakfast encourages the kids (especially the teens) to eat something before school every day versus skipping breakfast. Set up a lunch/snack station – Just like the easy-to-prepare breakfast, our family believes in easy-to-prepare lunches! We have sandwich fixings together on the shelf so that sandwich prep is smooth, and all of the lunch snacks, like fruit cups and granola bars, are in a quick-access drawer. Preparing their school lunch is as easy as grabbing a few items from the lunch drawer and sticking it in their backpack. We are stocking up on low-priced Harris Teeter private label items for our lunch boxes. One of our favorite after-school snacks! Create a homework station – After school, the kids always need a snack and a short mental break, but that is followed quickly by homework time! The longer my kids are in school, the longer their homework takes! The easiest way we’ve found to stay on task when it’s homework time is to have a homework “station” in a central location, like the kitchen, that is stocked with pencils, erasers, calculators, good seating and lighting. It’s important that we keep the homework area distraction-free (which is tough when their homework has to be done on the computer!). 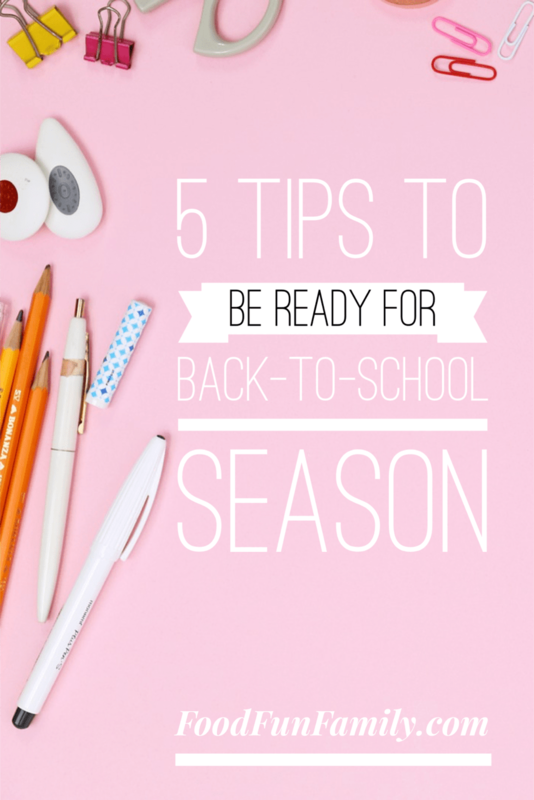 What are some of your best tips for adjusting to back-to-school season? Did you know about Harris Teeter’s Together in Education program? It’s simple! When you purchase HT private label items, your local school of choice can earn money. Harris Teeter has donated over $25 million to Together In Education schools since 1998! Find out more about the program here. Post a weekly schedule – We’re a family of seven (with 6 of us currently at home), which means a ton of moving parts. Heading back to school means starting fall sports and other after-school activities. Adjusting to a new schedule can be rough, but posting the calendar with all of the family’s activities and commitments helps keep everything running smoothly. About Harris Teeter: Harris Teeter Supermarkets, Inc. is an American supermarket chain based in Matthews, North Carolina, just outside Charlotte. As of January 2017, the chain operates 243 stores in seven states: North Carolina, South Carolina, Virginia, Georgia, Florida, Delaware, Maryland and Washington D.C. The Harris Teeter, Your Plus Guarantee applies to all private label items: “Our goal is to keep you satisfied! If you are not 100% satisfied with this product, simply return it for a full refund. Plus we will replace it with a like item of your choice.” Harris Teeter Private Label items are priced lower than other grocer’s private label items, which means that you get a great quality for a low price.